Natcon is run at Easter every year here in New Zealand. It is unique in that it is the only three day event on the calendar. This year it was held in Christchurch and attracted a field of 19. I'm thinking that this may be Locky's first singles win. 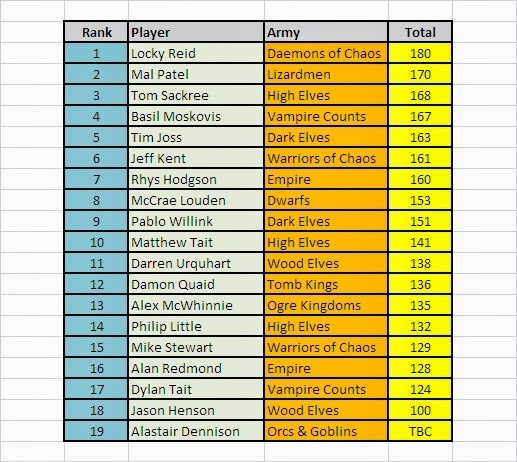 Certainly good to see eight different armies amongst the Top 8. These results will be uploaded to the rankings later today.